Did you download the latest update to the Milwaukee One-Key app? If not, you should. The new update enables a new trigger lock-out feature as well as some other features that add a better level of tool security and theft protection to the Milwaukee tools that feature the One-Key system. The new Trigger Lock feature allows owners, and even guest that you have granted permision, to use either the app or the One-Key website to remotely lock the tool to prevent use. The lock-out would take place the next time the tool was within range of a device with the One-Key app installed. So even if a thief happens to get your tool, they will not have the privilege of being able to use it. Unless, of course, they never come within range of the app. It would be nice if there was an option to automatically lock the tool once it loses connection with your phone, but I don't know if that is even possible. If you happen to lock yourself out of your own tool, a call to Milwaukee support with your security PIN will get it remotely unlocked for you (though it would need to be in range of the One-Key app). An additional lock-out feature was added that allows owners to lock the control footpad of their tools. This is to prevent anyone from tampering with your control settings. Lastly, the update also allows owners to hide their tools from showing up on the screens of nearby devices. This also adds a level of protection by not broadcasting that you have an expensive tool nearby. Yet, even with the "Hide" mode set on the tool, all of the cloud-based features like tool tracking or remote locking are still available to owners. Unless you have a crew of people that all use the same tool and need access to customize the setting, the hide feature should probably always be enabled. 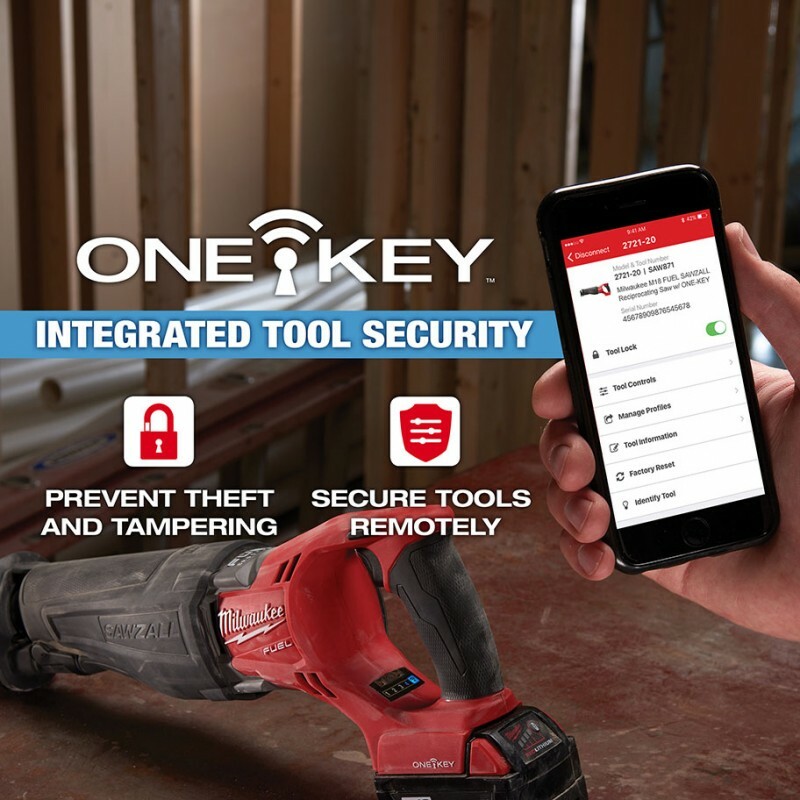 For more information about what Milwaukee One-Key can do, you can read our One-Key articles, visit the One-Key microsite, or download the PDF below.